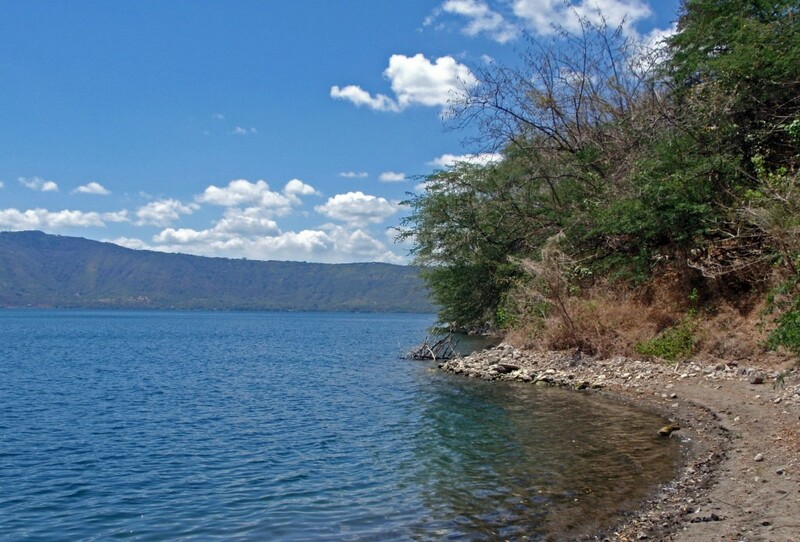 Can You Walk to Laguna de Apoyo? The view from our “private” beach at Laguna de Apoyo. Yep, you sure can and we did. 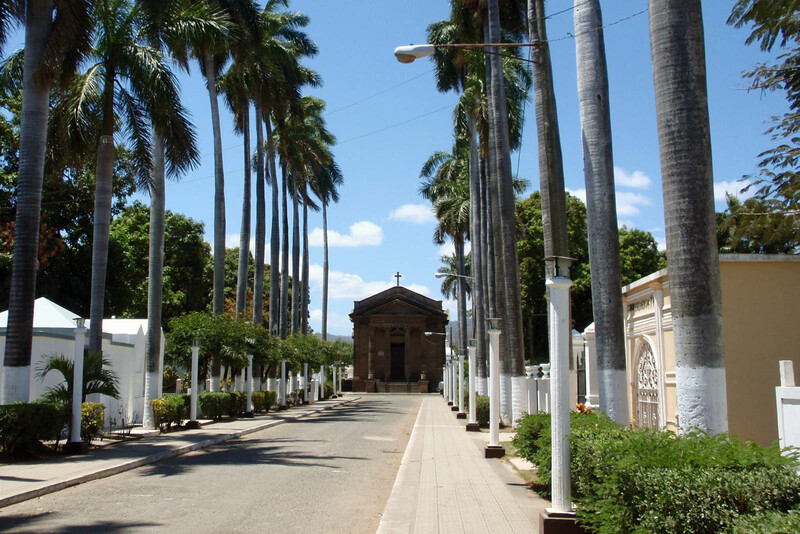 The Moon Guidebook for Nicaragua has basic directions for walking and has more information for visiting the lake’s restaurants and hotels. Being the young an adventurous type we walked… from Granada…a very long, hot walk. 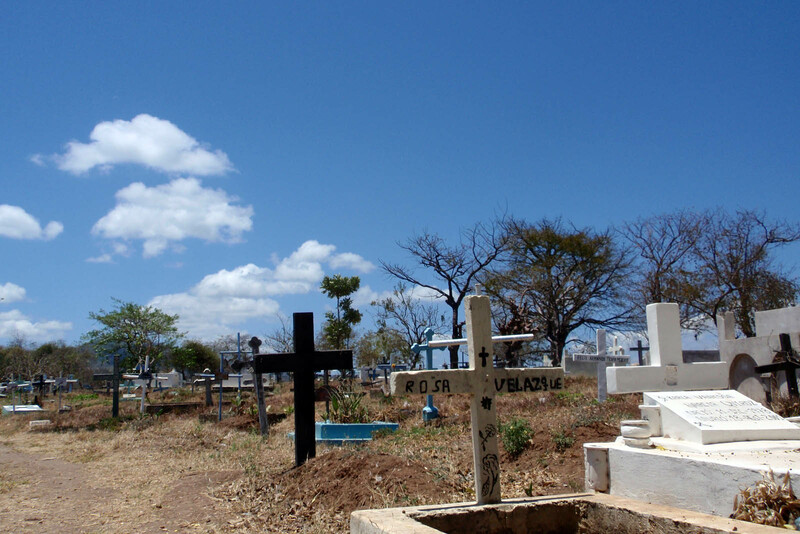 First, we had to walk through Granada’s cemetery, past the tombs of the rich and beyond the unadorned graves of the poor. Our walk through Granada’s cemetery begins. 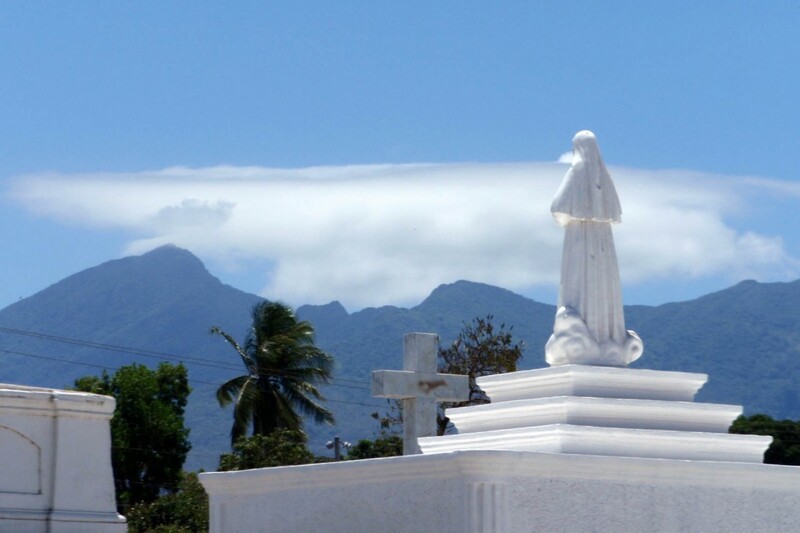 Statue of a saint facing the mountains surrounding Granada, Nicaragua. 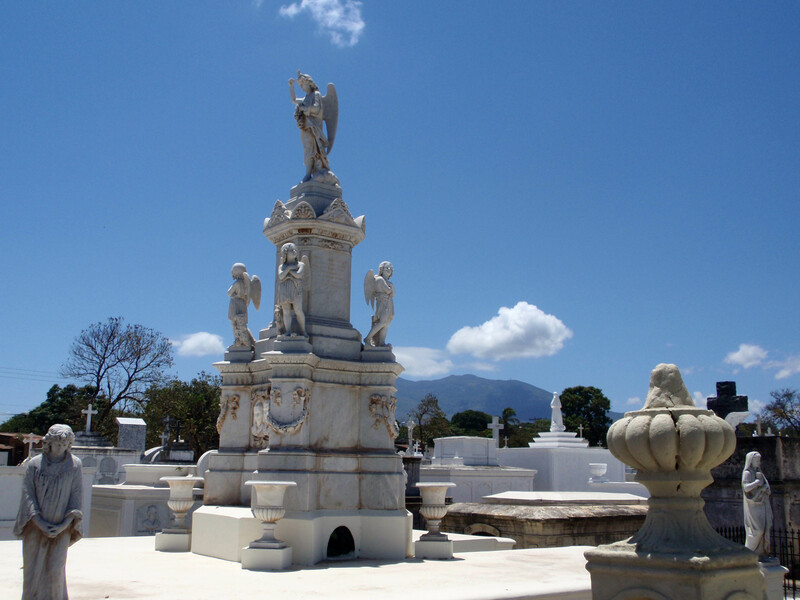 Where the less prominent families of Granada are buried. Then we followed the dirt road on the northeast side of the cemetery (I think it was the back right corner) all the way until the end and then hiked down a cattle path to a teeny, tiny beach that we had all to ourselves…well, until a farmer showed up to water his cows. 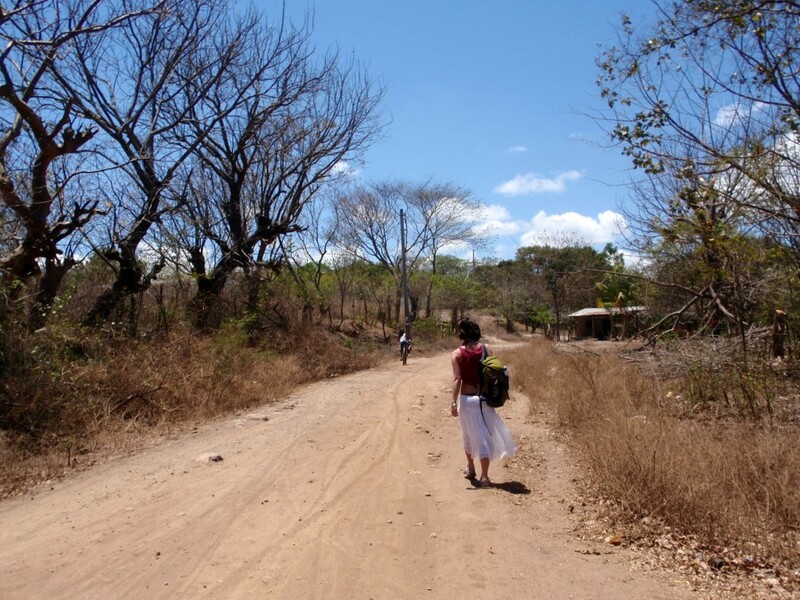 The road to Laguna de Apoyo. My travel companion had jumped into the crystal clear lake with all of his cash and passport in his shorts, and had laid it out over a log to dry when the cows showed up; instead of stealing my friend’s cash the rock wielding farmer began chucking rocks at his cows. Love the Nicaraguan people. 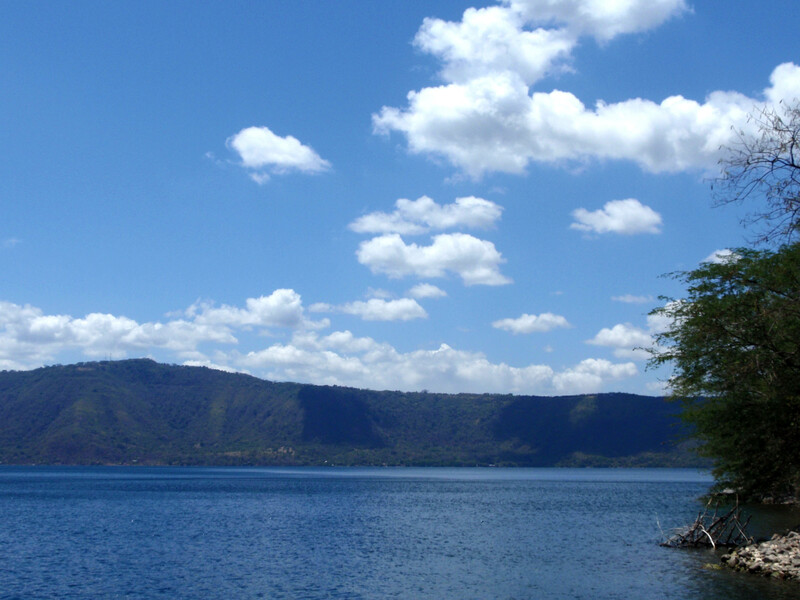 Deep blue Laguna de Apoyo. The bottom of the crater is the lowest spot in Nicaragua. The lake has tons of endemic species and offers scuba diving. Moo….these cows interrupted our sunbathing and swimming, but kept us giggling all afternoon. Walking to the lake definitely provided a more interesting and cultural experience, but if you would prefer something more predictable hop one of the local buses out to one of the restaurant, beach combos on the other side where you can lay on a dock and sip Toñas all afternoon. 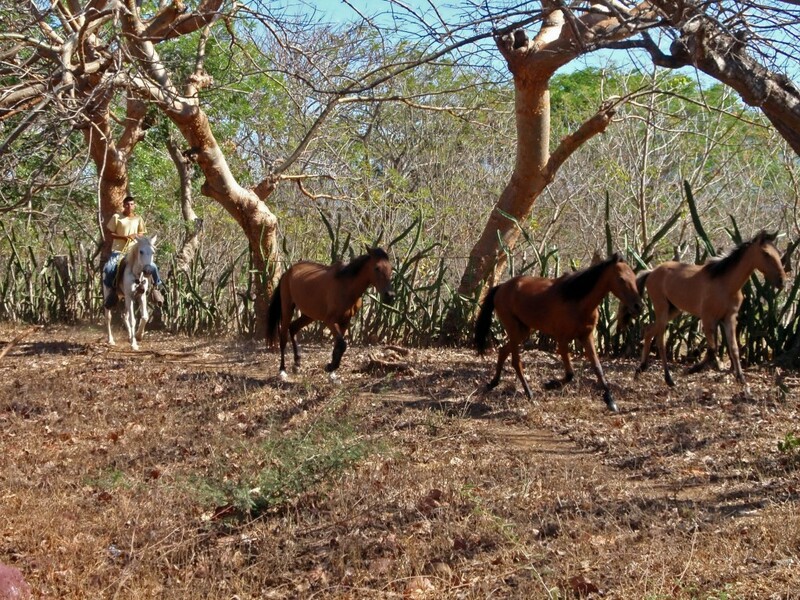 Farmer taking his horses to water at Laguna de Apoyo near Granada, Nicaragua. 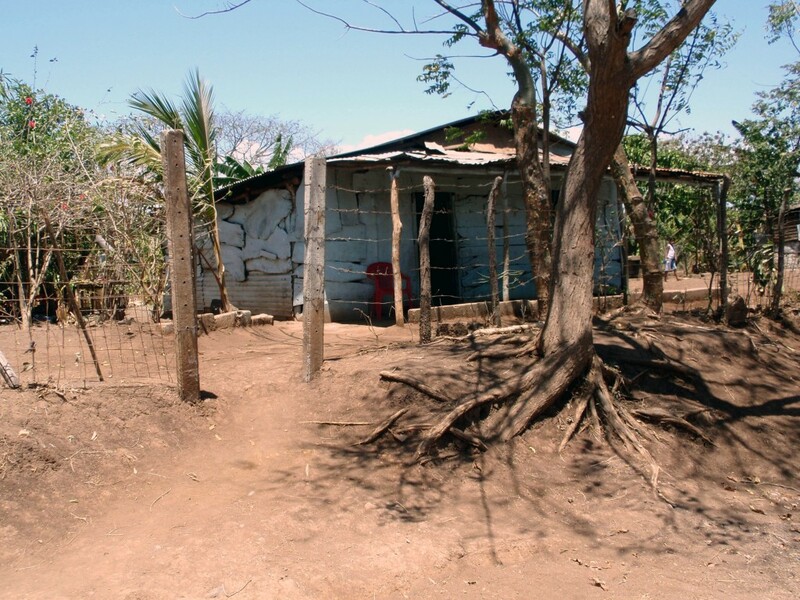 Typical home on the walk to Laguna de Apoyo. I personally was thrilled with the randomness of our little adventure; we met a farmer…and his cows, we hitch hiked half the way to the lake crammed into the back of a Jeep with about 5 other people, had a perfect little beach to ourselves, watched a farmer run his horses, explored the cemetery where some of Nicaragua’s presidents are supposedly buried and had a chance to see the real Nicaragua as we walked past rural homes. If you’re walking stuff your day pack with plenty of water and snacks, ask for directions (people might think you’re crazy; we got some pretty weird looks) and allow an entire day.